Elkhart Lake, Wis. – Competition Motorsports continued their run of strong performances in Round 11 of the IMSA Porsche GT3 Cup Challenge presented by Yokohama by adding two more podiums to their streak at the end of the first of the busy three-race weekend at Road America. Competition Motorsports started the weekend off with an excellent qualifying effort as Michael Lewis claimed pole position and saw Calvert-Jones score not only his best qualifying position of the season, but also top the Masters Class qualifiers. For the first race, Michael Lewis led the charge in his No. 98 Competition Motorsports/Curb-Agajanian Porsche 911 as he drove home to a second place finish in Platinum Class competition, marking his fourth podium of the season. Following his season-best qualifying effort and securing a fifth place starting position, David Calvert-Jones also scored his best race finish of the season of sixth after fighting hard throughout the entire race. 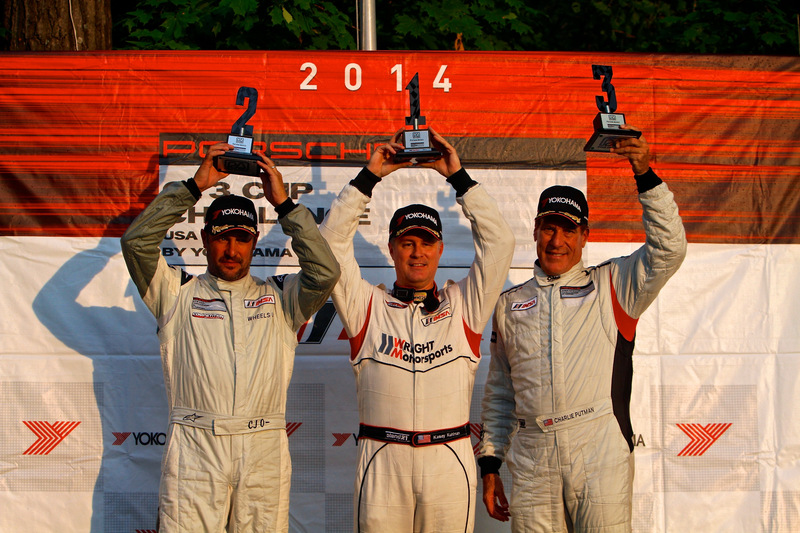 Calvert-Jones also added another podium to the haul with a second place Masters Class finish. The 45-minute sprint race was cut even shorter when an incident on the first lap turned the flag yellow for 15 minutes. Contact from the incident also put Blair Chang and his No. 9 The Agency/Competition Motorsports Porsche 911 out of the race early. In the No. 02 Affinity Motorsports/TLI/Competition Motorsports Porsche 911, Fred Poordad quickly jumped up the order at the start and then maintained pace throughout, fighting hard to steer clear of multiple incidents and caution periods to bring home a solid 10th place result. Michael Zuieback made a positive debut in his as he started the race in the No. 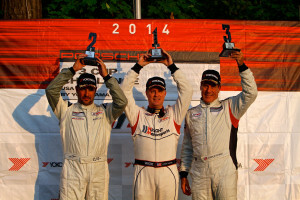 2 Discount Tire/Competition Motorsports Porsche 911 from 14th position and systematically worked his way up the pack, making the most of the multiple restarts to finish in seventh position in the Gold Class. 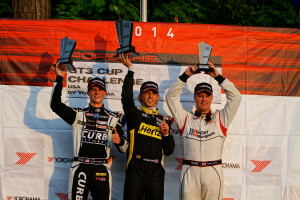 Similarly, Steve Goldman made solid progress in his premiere race in GT3 Cup Challenge competition at Road America as Goldman worked his way from a 13th starting position to take the checkers in sixth place in Gold Class competition in the No. 3 Revita Rugs Porsche. All six Competition Motorsports drivers will go racing again on Sunday for two more rounds of competition with the first set to go green at 9:50 AM (CT) and the second to follow that evening at 4:45 PM (CT). This entry was posted in News on August 9, 2014 by admin.